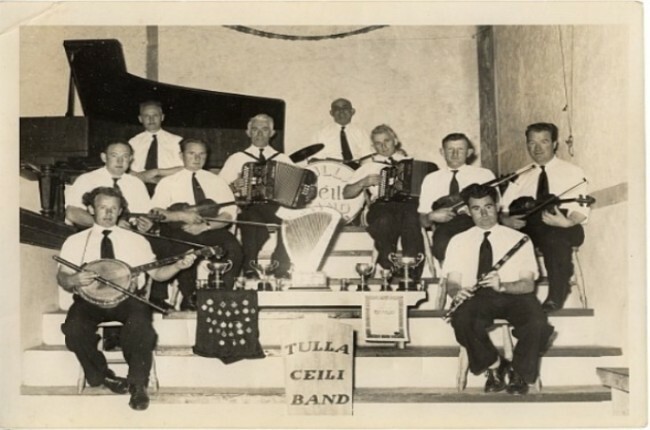 There are many famous names synonmous with music in Tulla and the branch of Tulla Comhaltas is proud to be associated with these stalwarts of traditional music. The interest in traditional music and dance in Tulla and the surrounding areas has withstood the test of time which is reflected in the numbers that continue to play music and numbers of young people that take up an instrument each year. Tulla Comhaltas currently recognises the importance and talent of our young members and follows the path as set down by the branch over the years. Youth trad sessions are held monthly which are led by local tutors and musicians. This session is run in two parts with a session for younger and teenage musicians. Relations have been fostered with other branches Comhaltas in Ireland and abroad. Over the years exchanges have taken place within Ireland, Norway, the Shetland Islands and Boston. This has forged friendships in music and offered young musicians the opportunity to learn tunes from other areas. Each year several Céilí Bands and Grupaí Cheoil enter the Clare county Fleadh in each age category under Tulla Comhaltas. There have been many successes at Fleadhanna over the decades with bands and groupai cheoil, solo, duet and trios and sets being placed at the Ireland Fleadh.